Richard Liu at the new company headquarters for his gear manufacturer DSPTCH in Dogpatch, San Francisco, CA. DSPTCH makes bags, camera straps and other items using military grade fabrics. The basement office space under the Dogpatch Cafe at Third and 20th had been vacant for many months. Then we noticed that the basement stairwell that had long been the landing spot for old newspapers and other debris at the windy corner looked freshly swept. Soon a clean, modern sign announcing the new tenant, DSPTCH, went up. Inside, the quirky art objects that were the hallmark of the prior art gallery tenant were replaced by the deceptively simple yet functional accessories designed by company founder, Richard Liu, and manufactured in California. 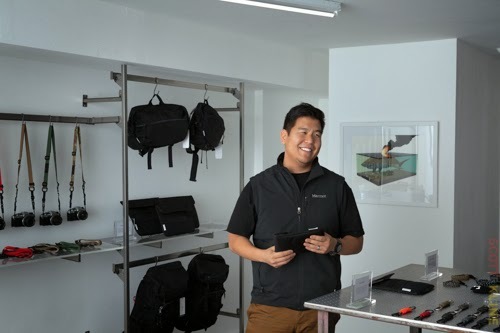 The space is divided into two rooms with the back room functioning as workshop and office space for Liu and his two full-time and one part-time employees and the front space a bright, modern retail space. Camera straps line one wall. iPad and MacBook covers hang on another. Backpacks, or as the company calls them, Ruckpacks, and a smaller pack called a Slingpack are ready to be tried on and their many features explored. Liu's mission seems to be to not only make it easier to navigate our average day a bit easier, but also wherever our travels might take us. Liu's passion for classic design and efficient production is obvious from a quick look at his bookcase where such books on Charles and Ray Eames and Hiroshi Sugimoto share space with books on prototyping and production and Chris Anderson's book, Makers. It is also obvious from the vintage Steelcase Tank desk and Eames fiberglass stackable chairs as well as the Technics turntable that he believes in products that are functional and built to last. 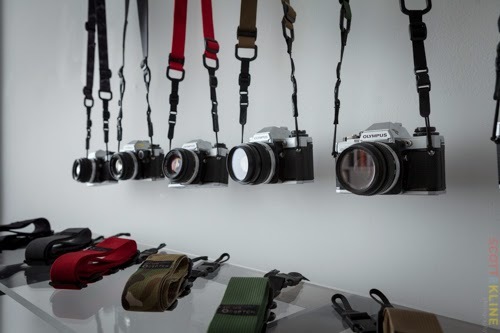 Camera straps were the first product at DSPTCH in Dogpatch, San Francisco, CA. I have a real passion to bring products to market that serve a real need. My first product, the camera sling strap, came out of such a need. I'm not a professional photographer but I'm not an amateur either. I had purchased a high-end, expensive camera made in Japan. So of course the accessories that came with the camera were also made in Japan. But the accessories, like the camera strap, were made for a shorter, Japanese body type and not for a taller guy like me. I looked like the stereotypical tourist with the camera hitting me mid-chest when I had it around my neck! I deserved, and my fancy new camera deserved, a better strap so I made one that not only looked good, but was also functional. People soon started approaching me asking where they could buy one like it. At the time I had been working in the technology industry for about nine years in marketing but I knew the large company and corporate culture wasn't my style. But I wasn't sure what I wanted to do so I started working part time -- while still working full time -- at 3Sixteen, a raw denim and accessories company. I built out their website and in return, they let me in on all facets of what it takes to run a business -- from creative to operations. I got to see all the ups and downs. I learned that having the spirit of resilience is the most important quality to have if you want to run a business -- you have to stay positive even when your tank is dry. While I was working with them I was also tinkering with my camera strap prototype. I failed many times. I finally made ten and put them on a website I had created but hadn't yet finished. A men's lifestyle magazine called Acquire heard about what I was doing and wrote about my product on their site. I woke up to my phone buzzing and the ten camera straps I had on hand sold out in about an hour. I called in sick to my corporate job and finished the website! I made 25, then 50 more straps and they also sold out. I finally decided that I might have a real company here and so I left my corporate job in January 2013 so I could dedicate myself full-time to DSPTCH. I primarily sell to high end men's boutiques -- we have about 38 wholesale accounts now. In San Francisco, The Darkside Initiative carries our products. The future of our company though are our bags and we will have three new bags coming out in January 2014. Our first office was in a small space in the Mission. I knew about Dogpatch because I have always liked going to Triple Aught Design on 22nd Street. 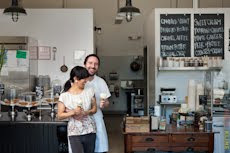 Dogpatch is just one of three neighborhoods left in San Francisco that are still somewhat affordable for small businesses but the creative energy in this neighborhood is unparalleled. Design is driving so much of what is happening here so it seemed the perfect spot for DSPTCH. I would probably be working in technology but it would have to be a small company. I'm still passionate about technology but I would have to be working on ideas about how to make life easier for people. I have a notebook filled with ideas! 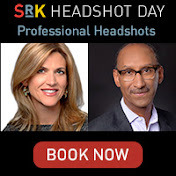 Why did you call the company DSPTCH? To me dispatch means the starting point before you head out on a trip or simply leave your apartment. I want DSPTCH to provide all the gear people need whether it be travel gear or commuter gear. We have products for you to carry the things you need every day but in a better way. The manufacturing area at DSPTCH in Dogpatch San Francisco, CA.